Max began his career with Magento more than seven years ago as a member of the Expert Consulting Group (ECG). During his tenure with ECG, Max worked with large enterprise accounts on complex customizations, integrations, and performance projects. 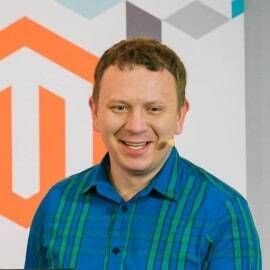 Subsequently, Max moved into leadership roles within the Magento product development organization including Magento 1, Magento Go, and Magento Connect. In 2013, Max assumed leadership of the Magento 2.0 program and he continues in that role.